LEHM 2016 – International Conference on Building with Earth › LEHM 2016 › Dachverband Lehm e.V. For practitioners and manufacturers, students and educators, architects and academics and all who are interested in the potential of earth as a sustainable building material, the LEHM 2016 conference offers an opportunity to see, discuss and keep up with innovative developments in the field. The Dachverband Lehm e. V. is the German Association for Building with Earth. 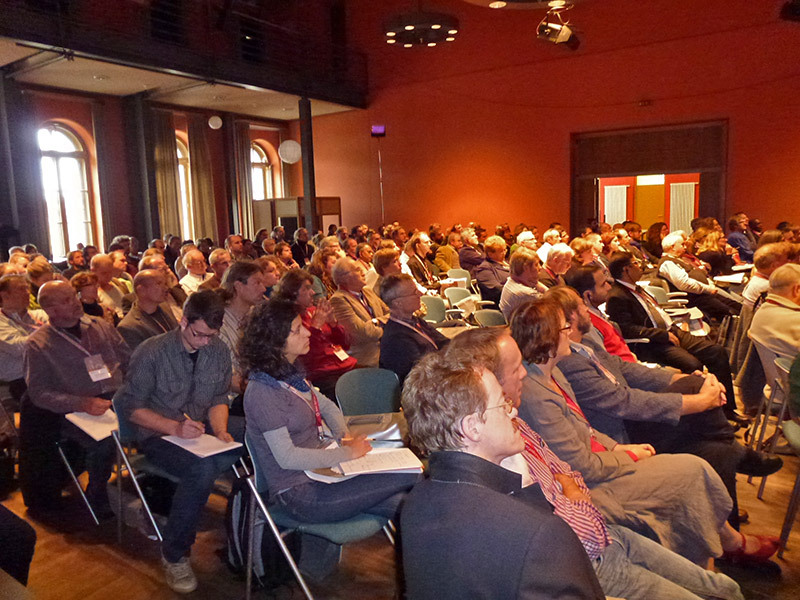 Every four years the DVL organises the international LEHM conference in an earth building region in Germany. In addition to the conference programme and field trips in the region, participants will have ample opportunity to exchange information about new earth building products and technologies worldwide. 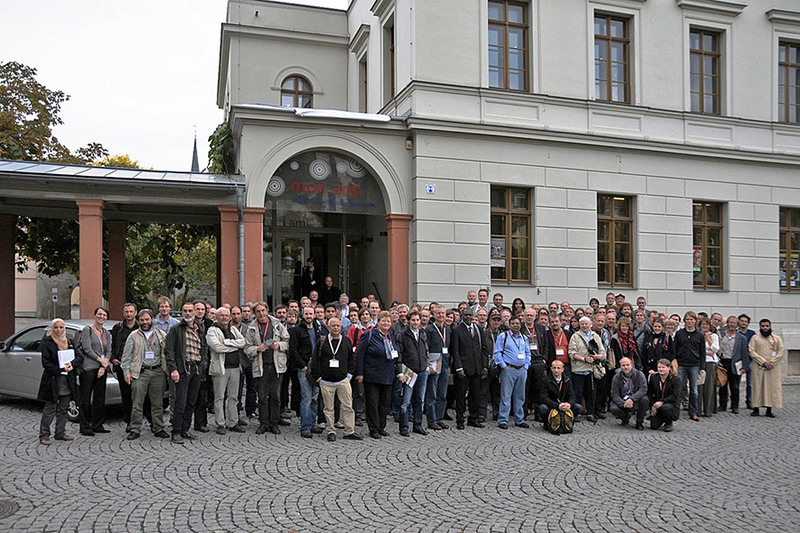 The LEHM 2016 is the 7th International Conference on Building with Earth and takes place from 12 – 14 November 2016 in Weimar, the cradle of German Classicism, birthplace of the Bauhaus and a UNESCO World Heritage site. 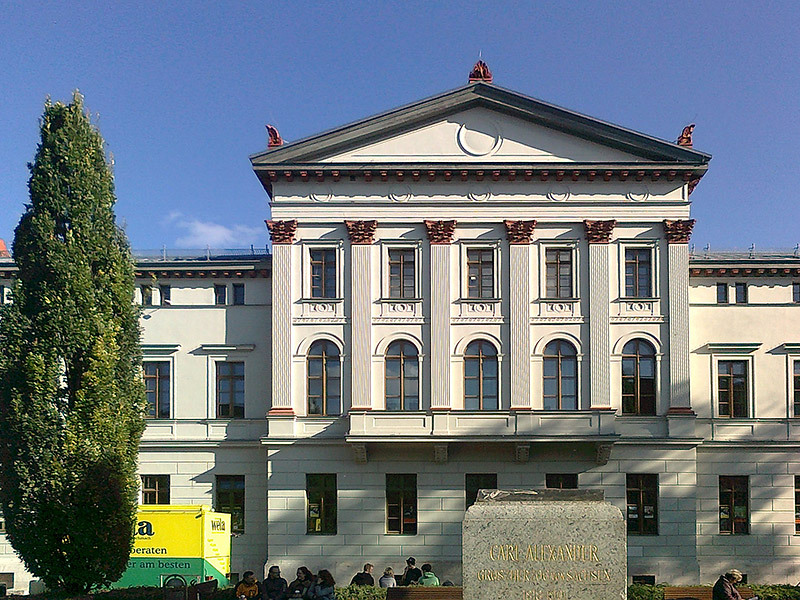 The conference will take place in the Kulturzentrum mon ami in the heart of Weimar’s historical town centre. Immediately preceding the LEHM 2016 conference is the denkmal Leipzig Trade Fair for Conservation, Restoration and Building Renovation with a dedicated section on earth building. The trade fair takes place from 10-12 November in Leipzig, an hour’s train journey from Weimar, and represents an ideal opportunity to see new building products and techniques first hand prior to the conference. In addition to the speakers’ presentations, the conference includes an accompanying poster session. The conference will be held in German and English with simultaneous interpreting. Session A – Saturday from 9.30 a.m. Session B – Saturday from 11.30 a.m. Session C – Saturday from 2.00 p.m. Session D – Saturday, 4.30 – 6.30 p.m. Session E – Saturday, 2.00 – 4.00 p.m.
How can we introduce earth as a building material into teaching and vocational training? Session F – Saturday, 4.30 – 6.00 p.m. Session G – Sunday from 8.30 a.m. Session H – Sunday from 11.00 a.m. – 1 p.m.
Last amended: 2 November 2016. Programme amendments possible. The full conference tickets and day tickets include the conference proceedings, tea and coffee breaks and lunch buffet. Reduced rates apply for members of the Dachverband Lehm e.V. As part of the LEHM 2016 the Dachverband Lehm e.V. will be holding a reception and dinner. 14 November, ~10 a.m. – 5 p.m. The auditorium sessions will be held in German and English with simultaneous interpreting. The parallel sessions will be held in English with an opportunity for questions and answers afterwards in German and English. The conference proceedings will available from the beginning of the conference and will contain all contributions available at the time of publishing in German and English. The LEHM 2016 conference takes place in the historical city of Weimar, the cradle of German Classicism, birthplace of the Bauhaus and a UNESCO World Heritage site. 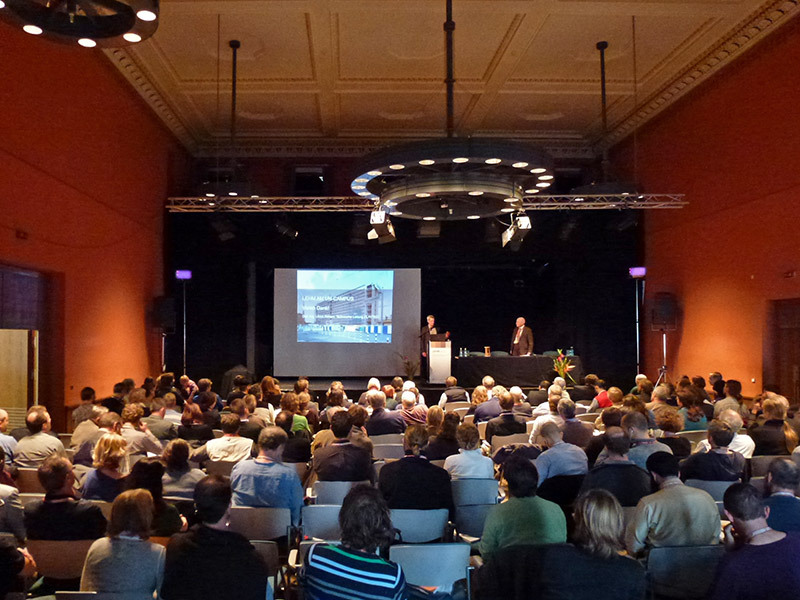 The conference takes place in the “Kulturzentrum mon ami” in the heart of Weimar’s historical town centre. Mon Ami Cultural Centre is situated on the Goethe Platz opposite the central bus interchange. Weimar is situated in the heart of Germany, approximately mid-way between Berlin and Frankfurt am Main. The nearest airports are Leipzig-Halle (LEJ, 125 km, Europe, some international), Dresden (DRS, 200 km, Europe, some international), Frankfurt (FRA, 285 km, international) or Berlin (SXF/TXL, 285 km, international). High-speed Intercity Express (ICE) trains run regularly between Frankfurt and Berlin. Change at Erfurt for the final short leg to Weimar. Weimar is a compact city and all hotels, guest houses and apartments that are located within the city (i.e. not in an outlying suburb) will be only a short walk away. If you wish to extend your trip, or a person is accompanying you to Weimar but not taking part in the conference, we would be pleased to assist you with supplementary information on things to do in and around Weimar. Please contact us directly for further information. The LEHM 2016, the 7th International Conference on Building with Earth, is organised by the Dachverband Lehm e.V. Register soon to avoid disappointment as places are limited. Your place is secured once payment has been received.